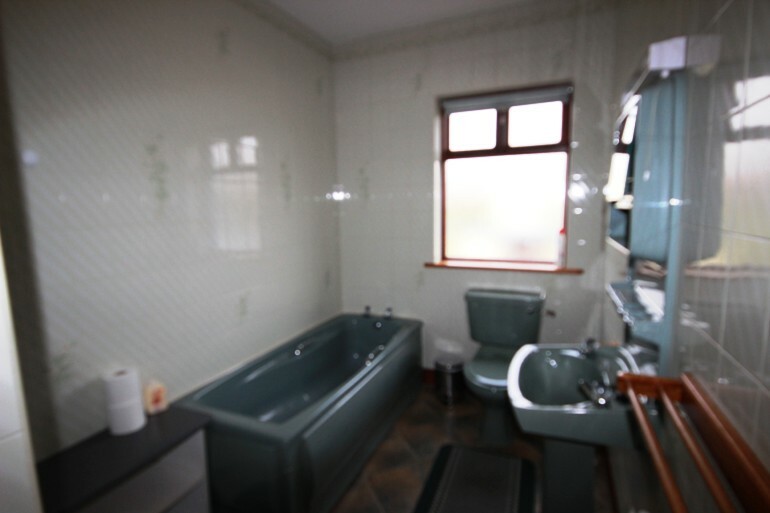 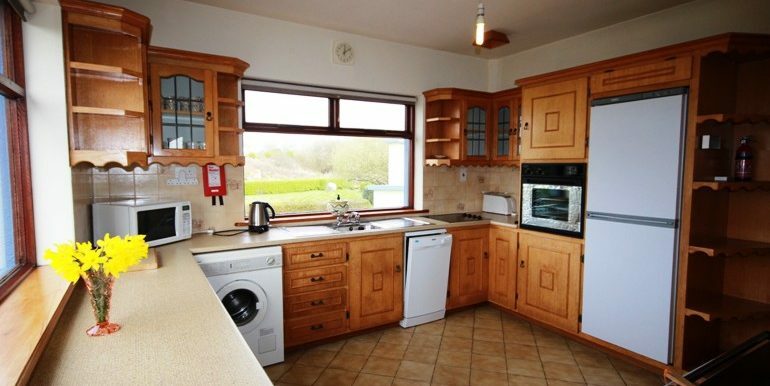 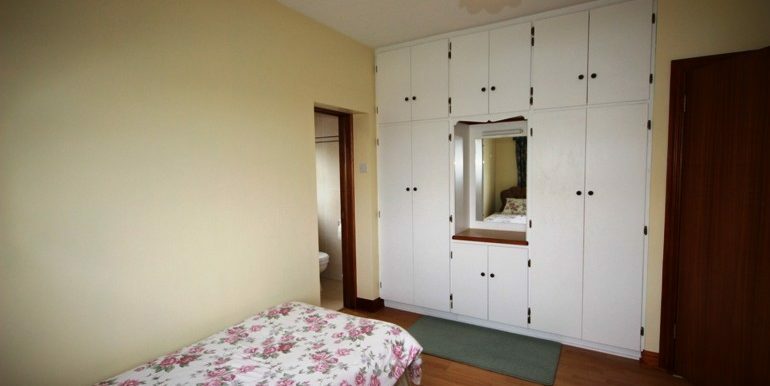 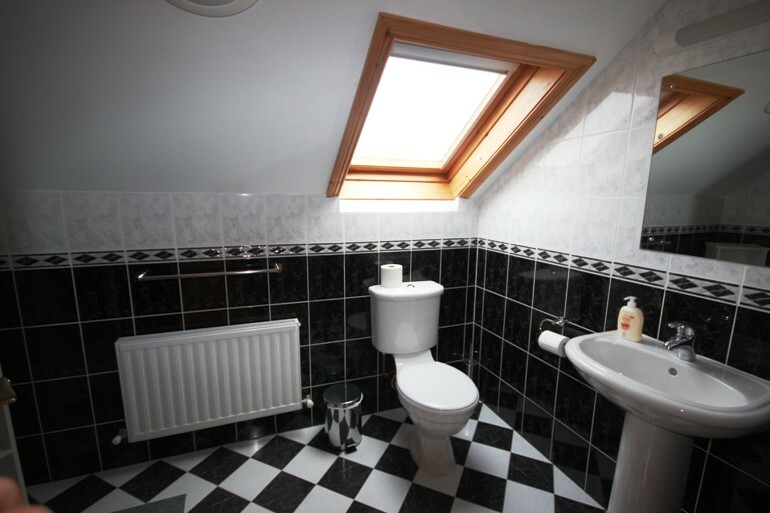 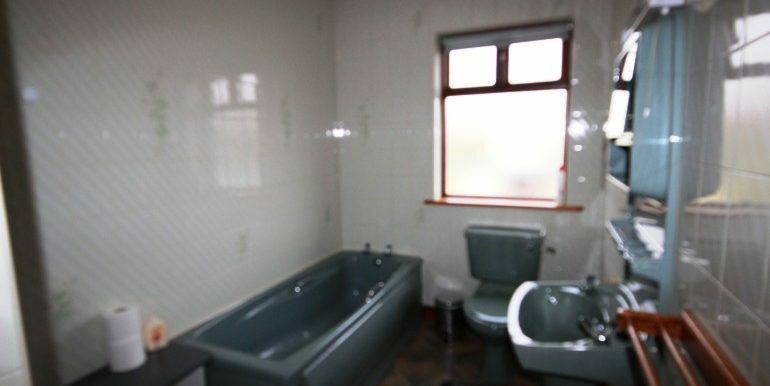 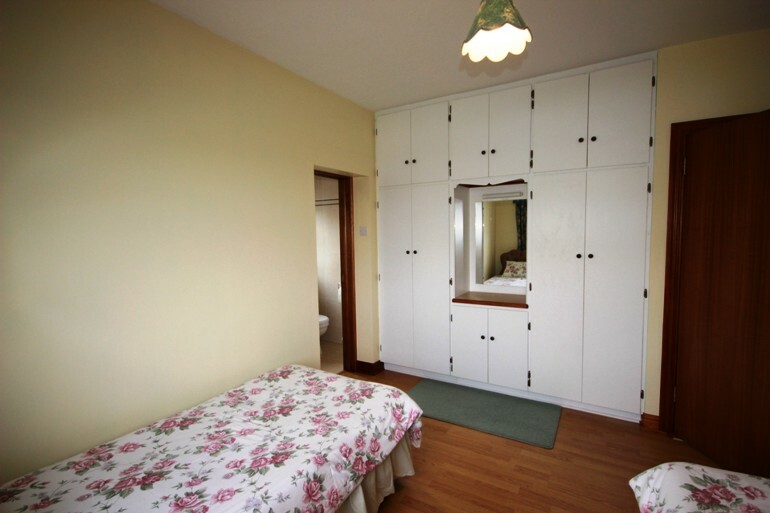 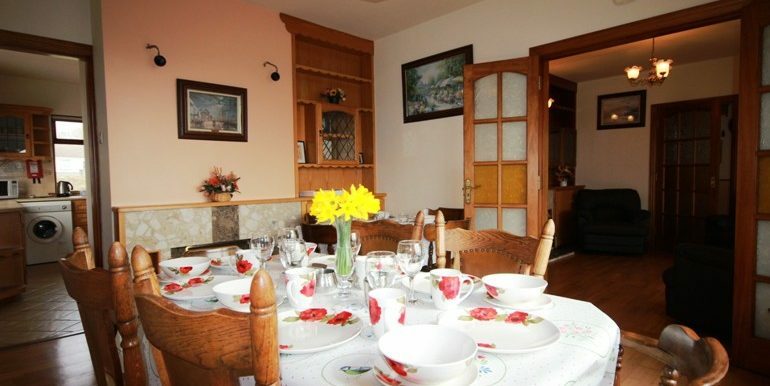 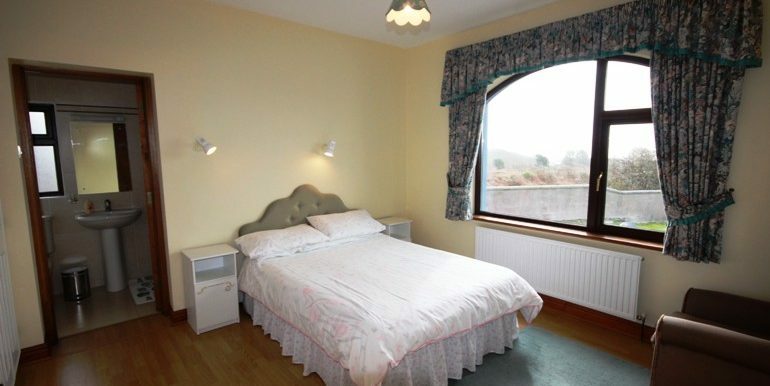 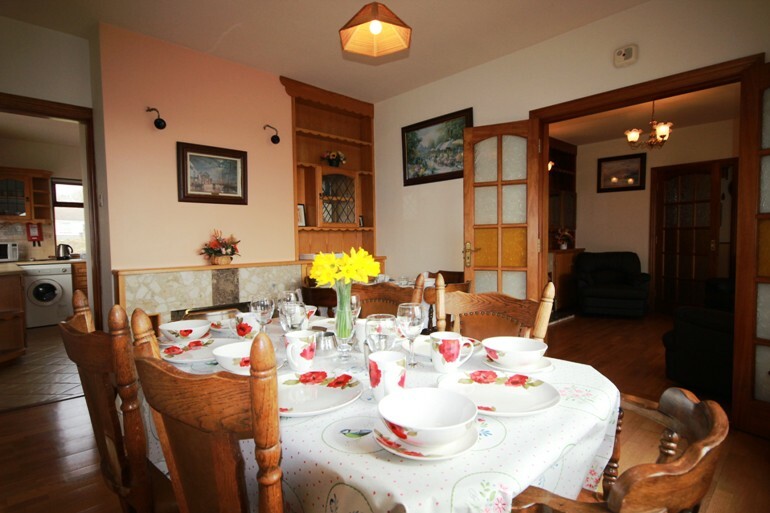 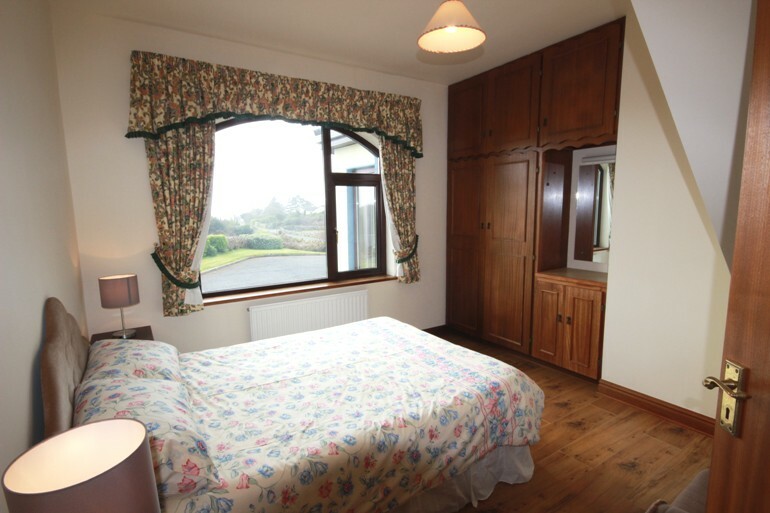 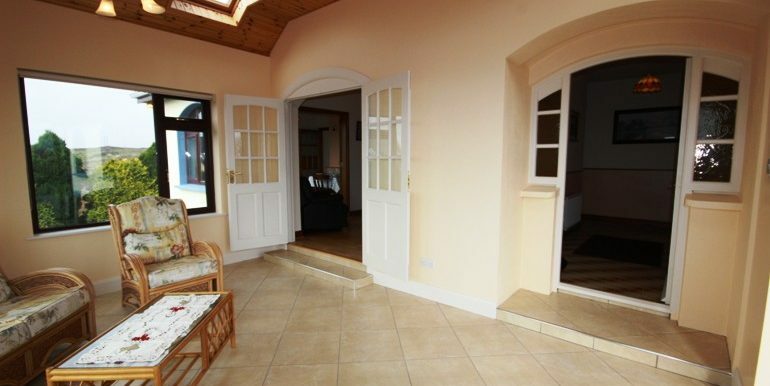 Beautifully presented detached house perfect for family holidays. 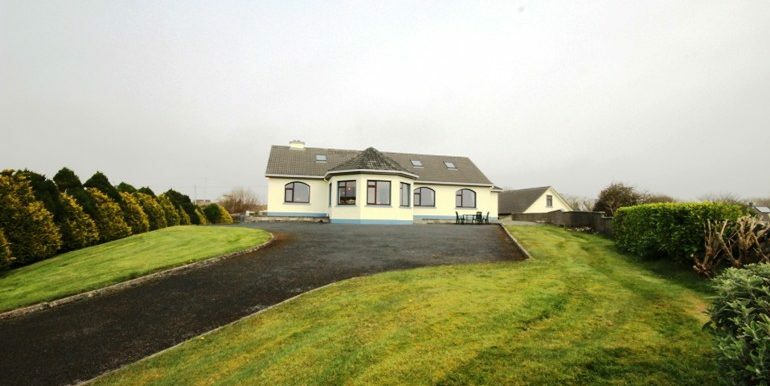 This stunning property is situated down a quite side road. 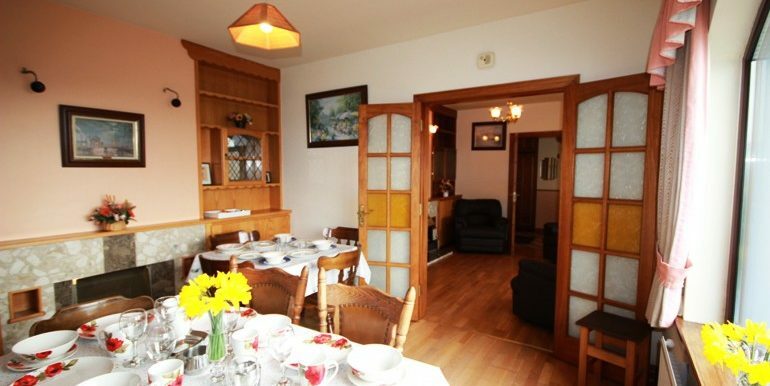 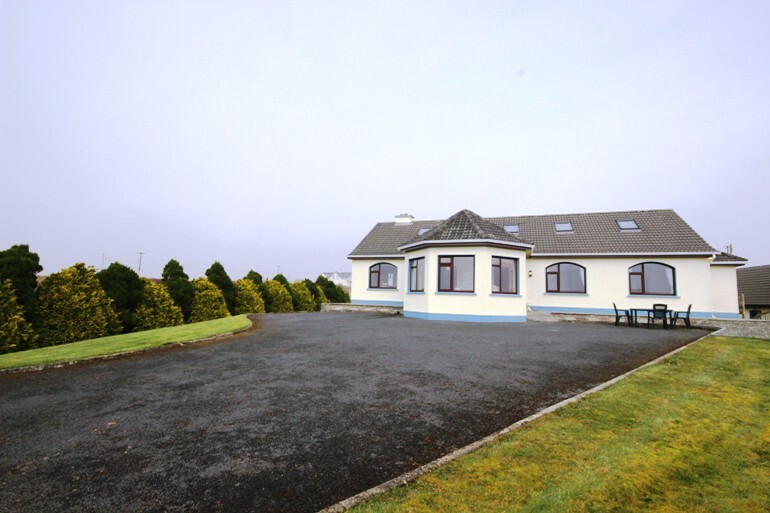 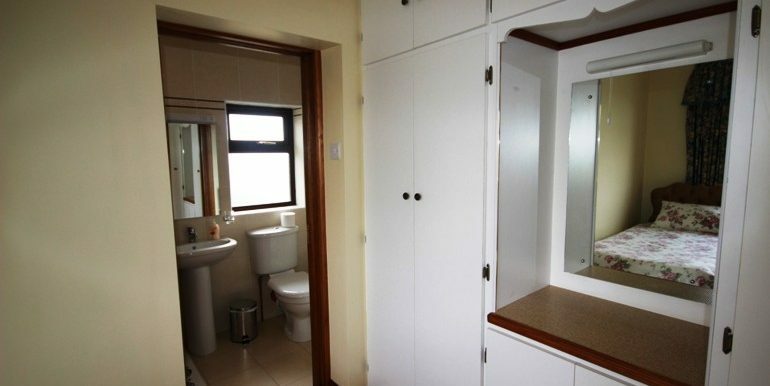 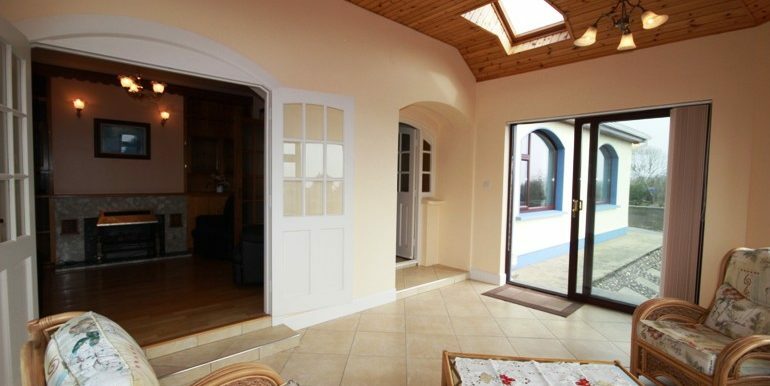 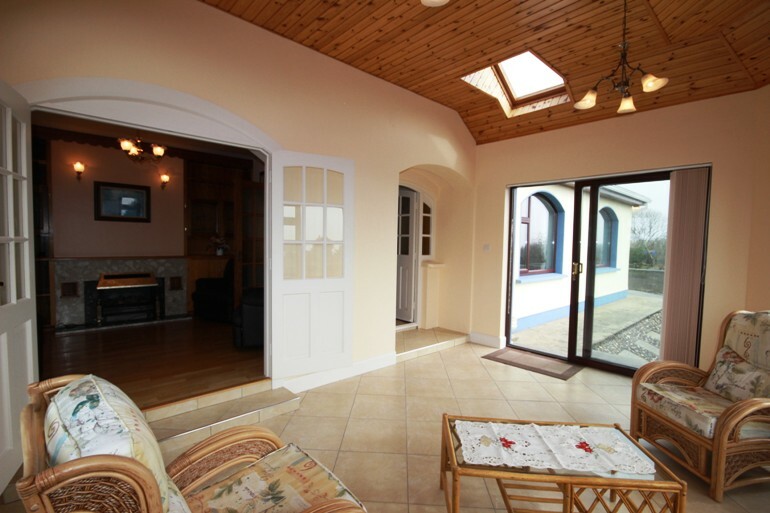 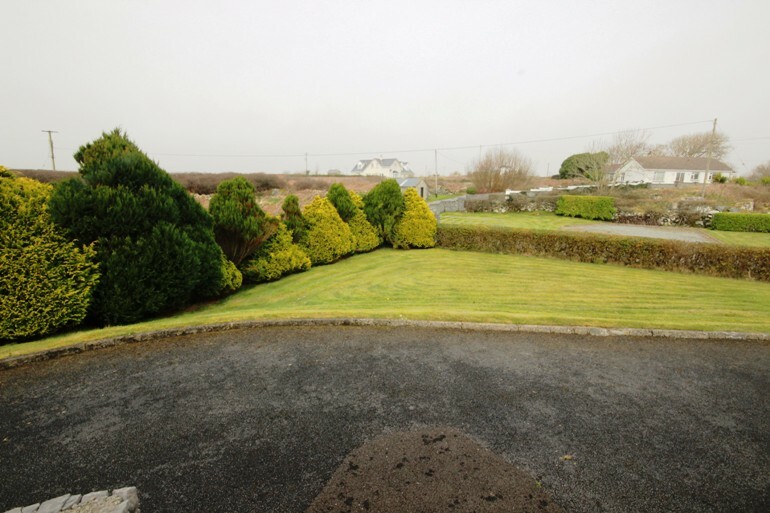 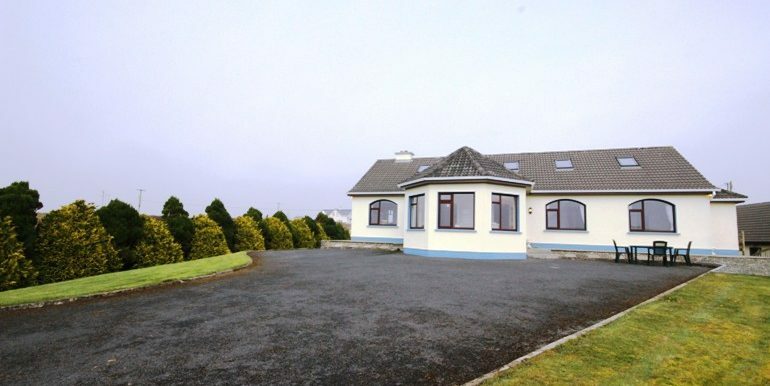 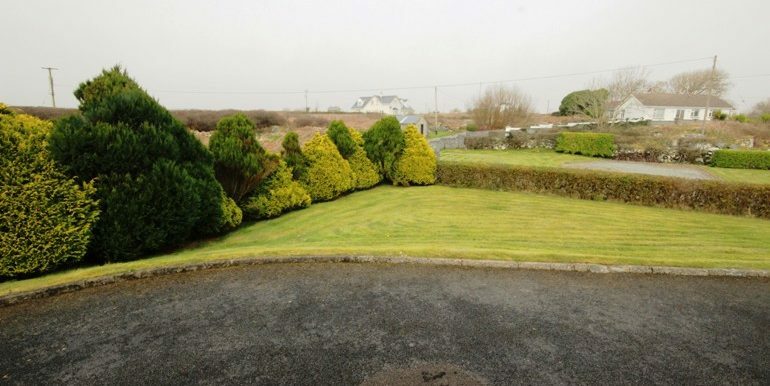 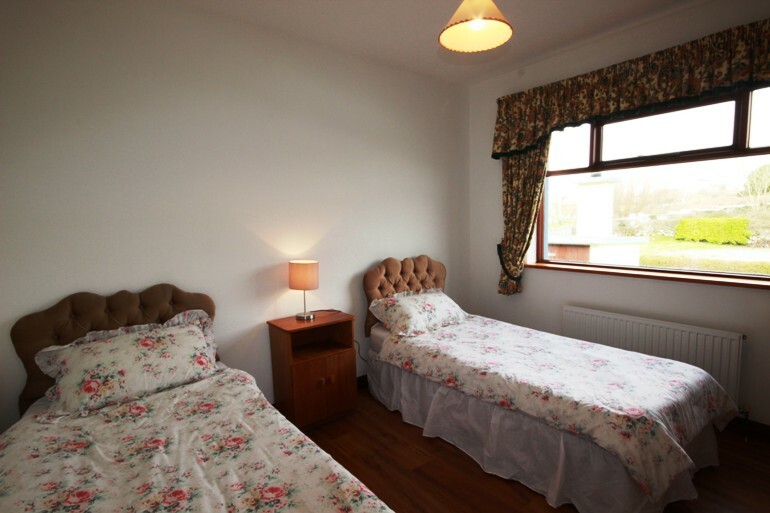 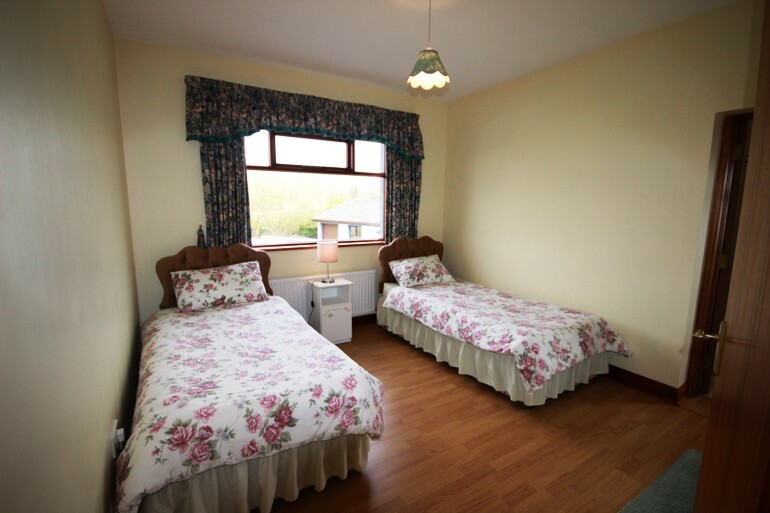 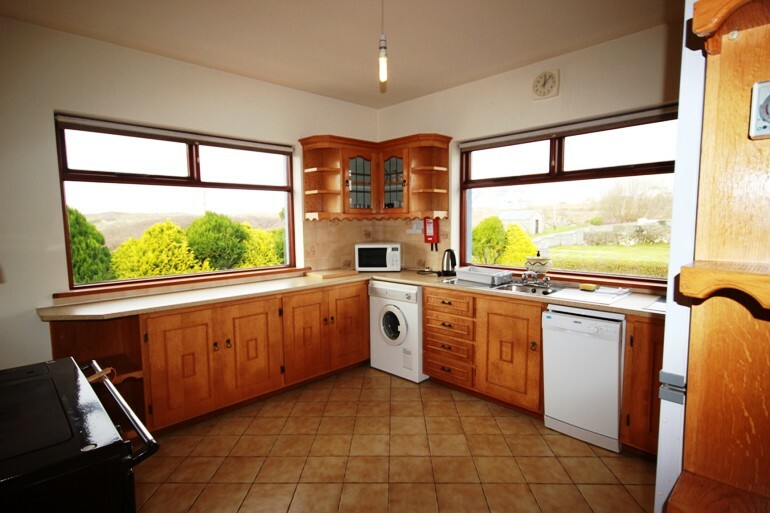 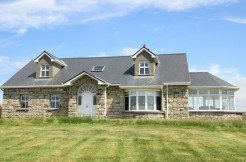 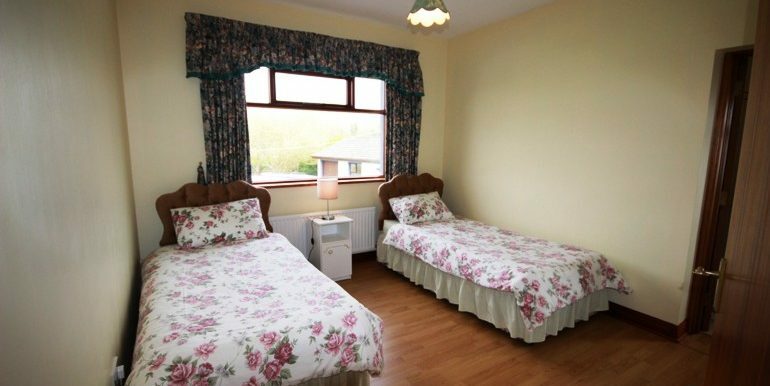 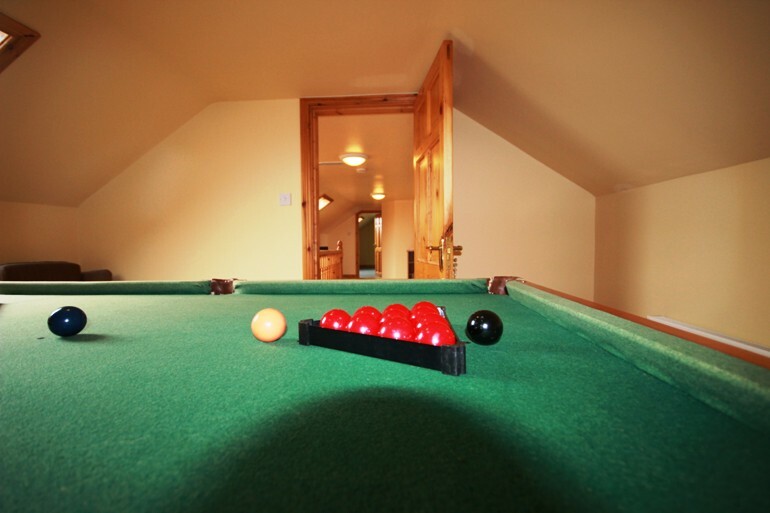 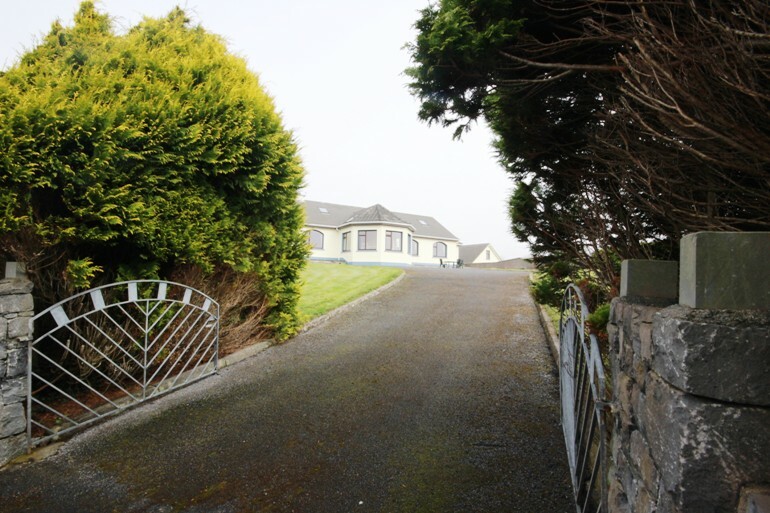 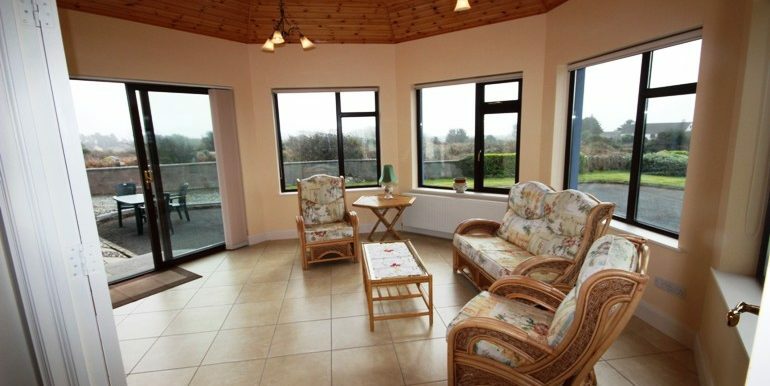 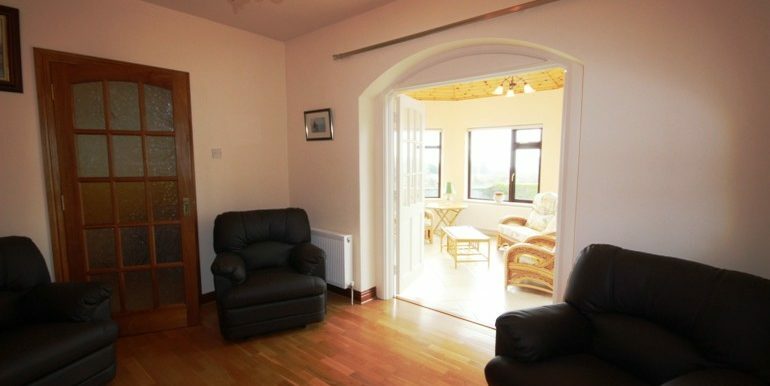 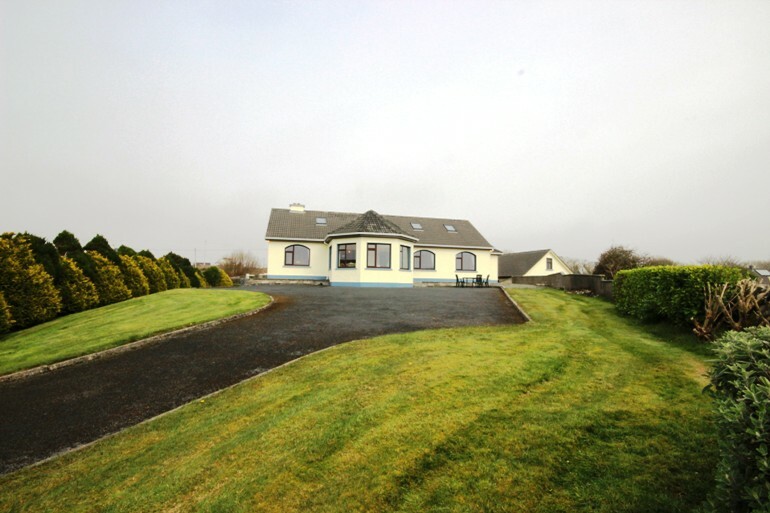 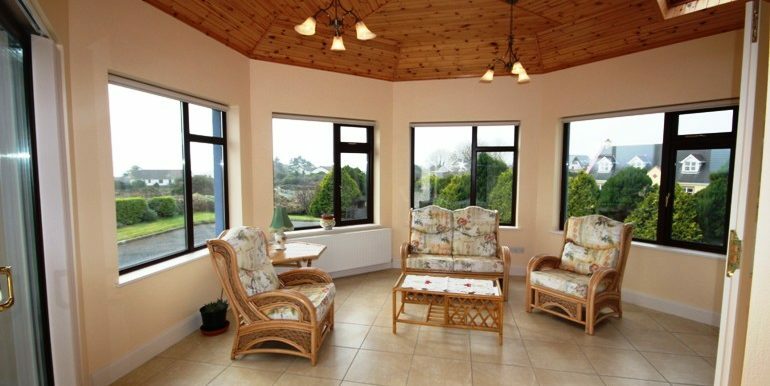 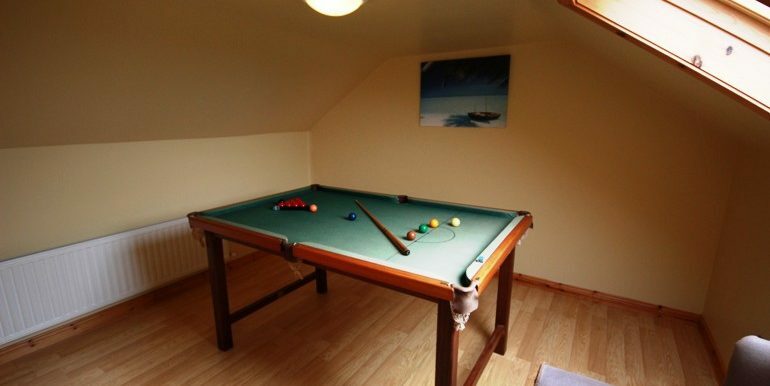 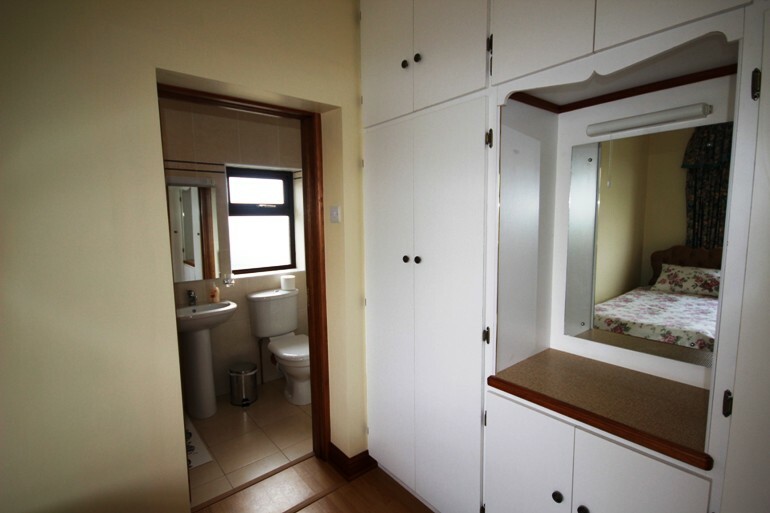 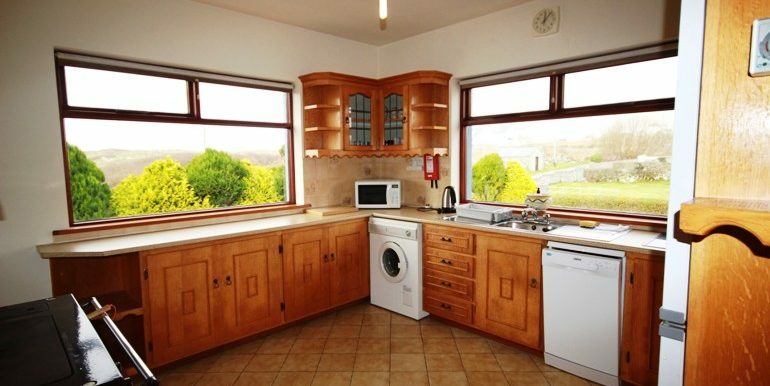 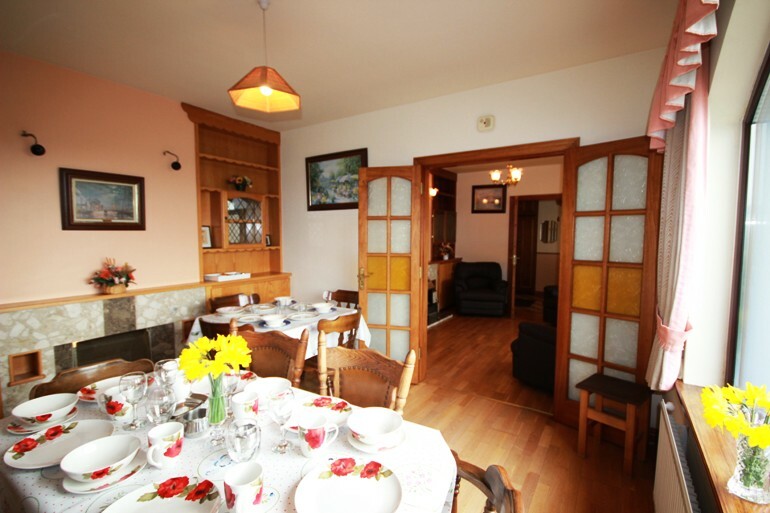 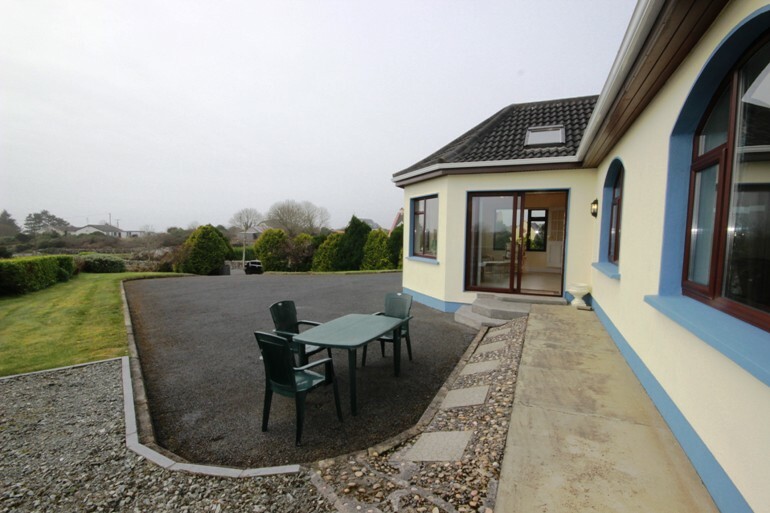 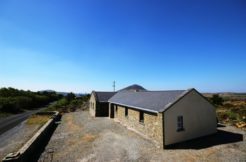 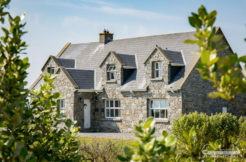 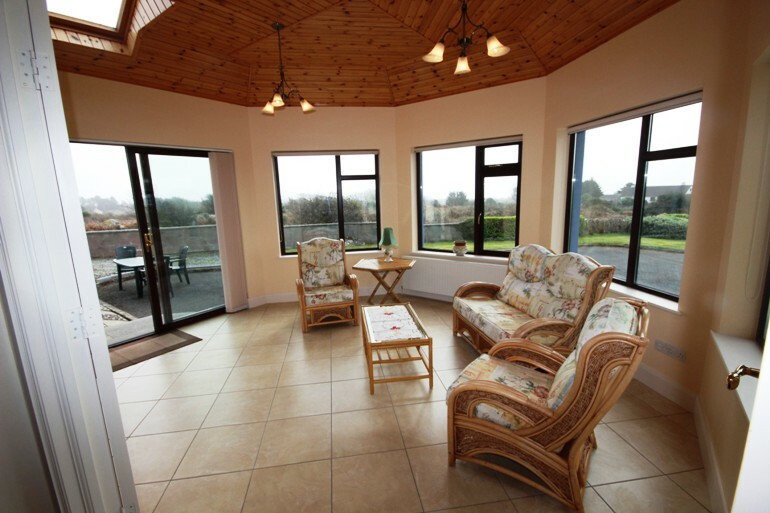 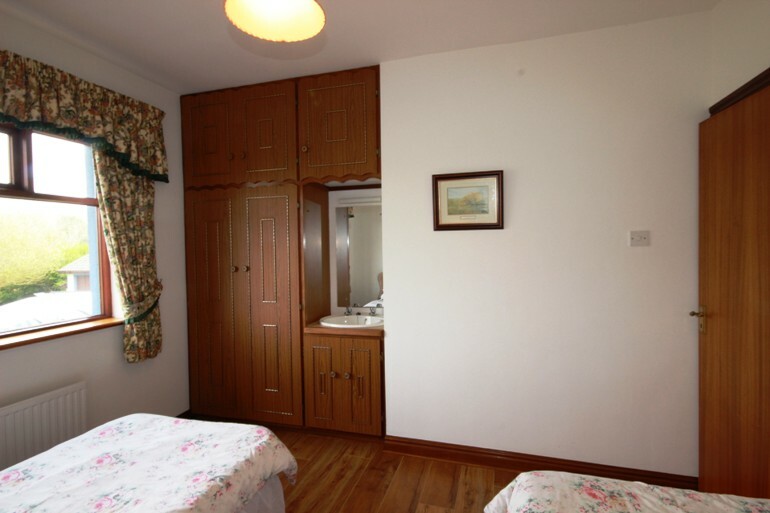 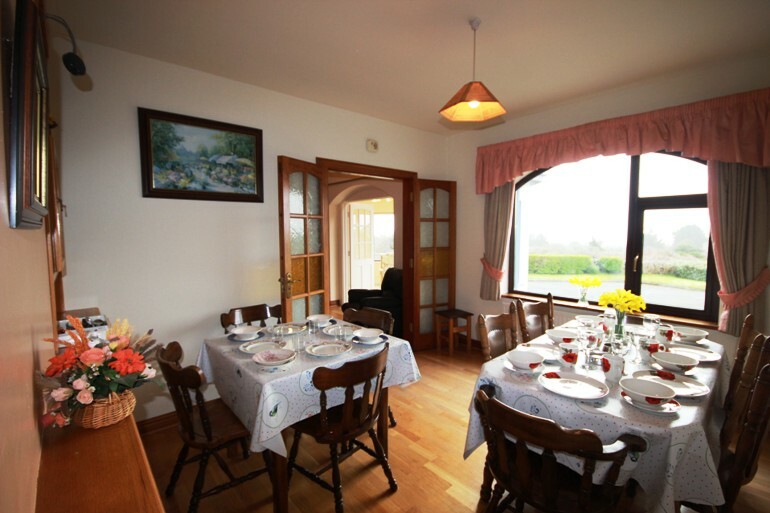 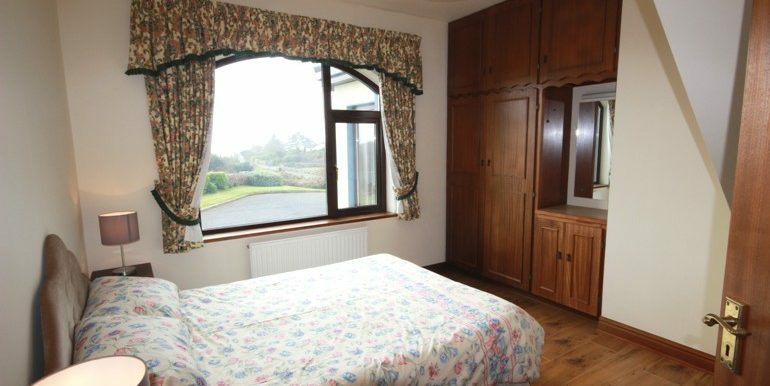 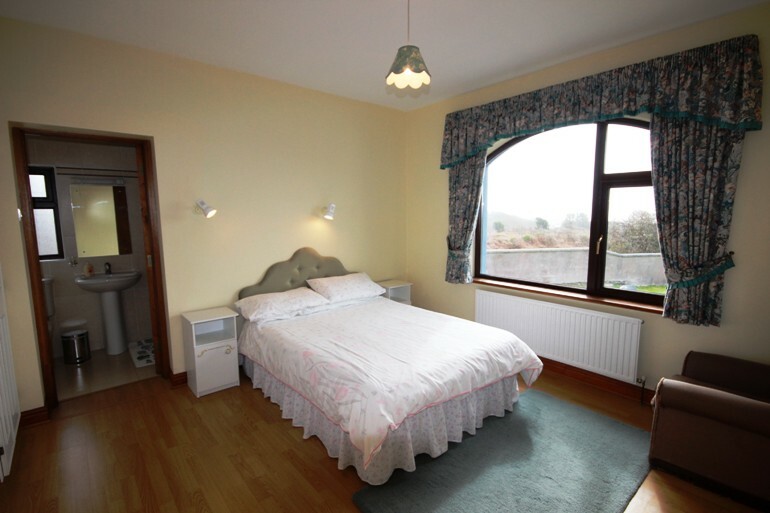 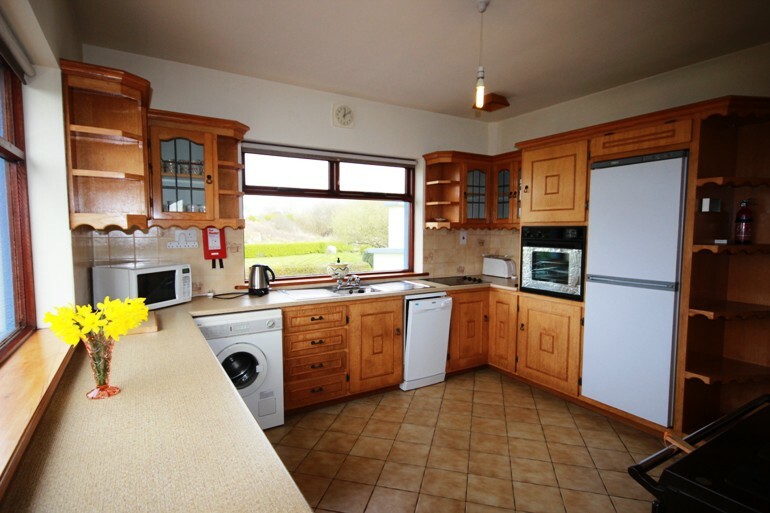 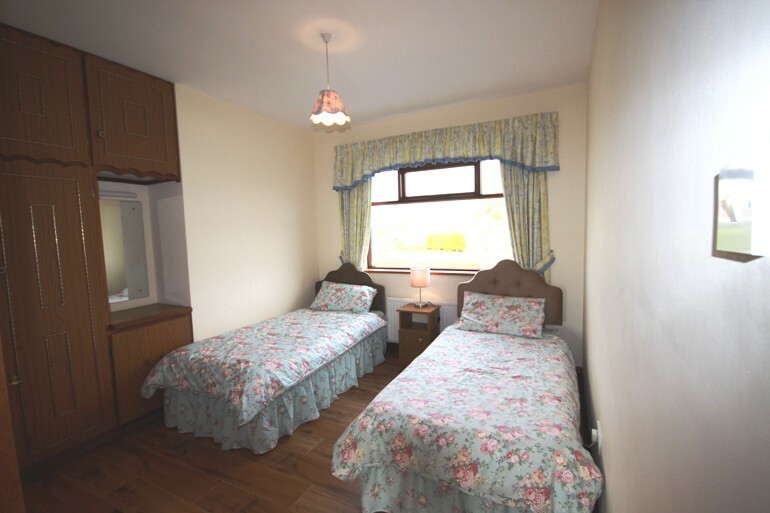 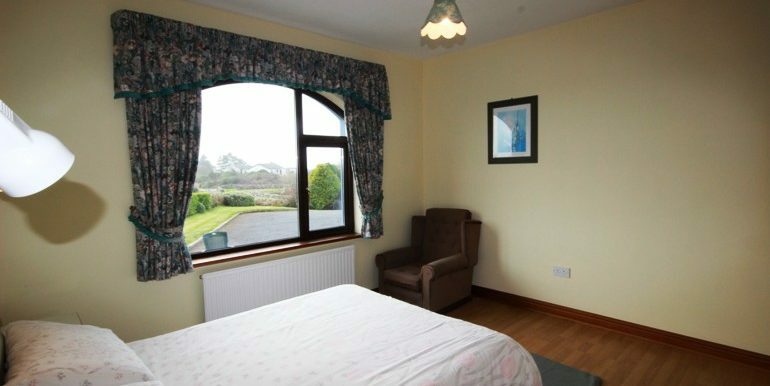 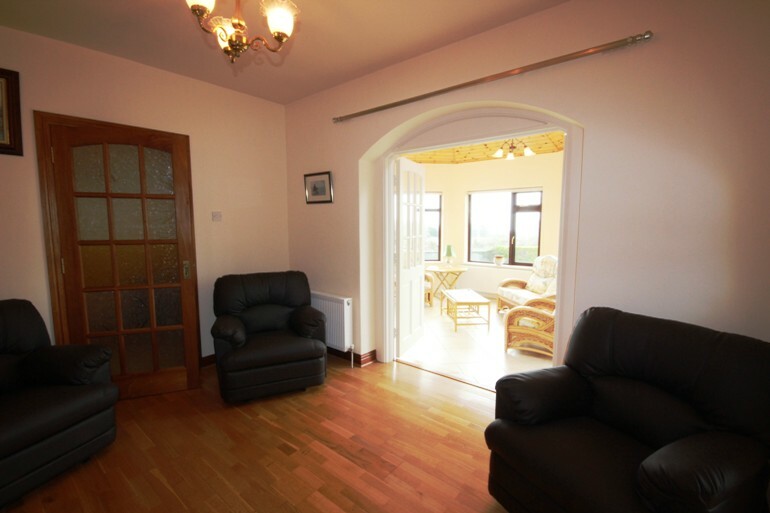 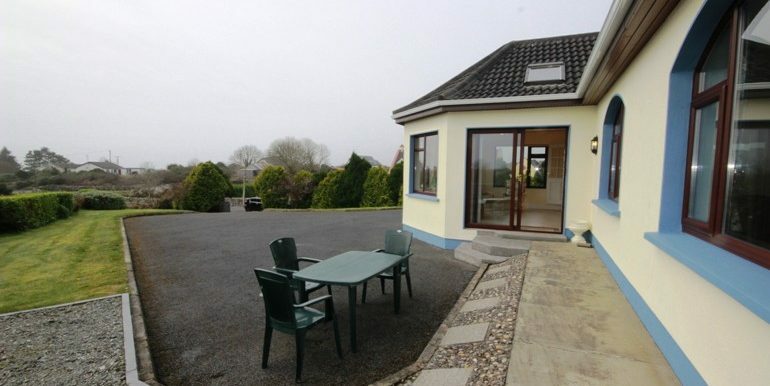 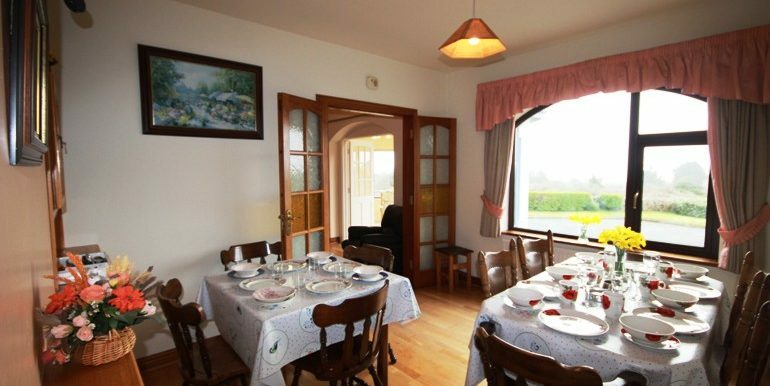 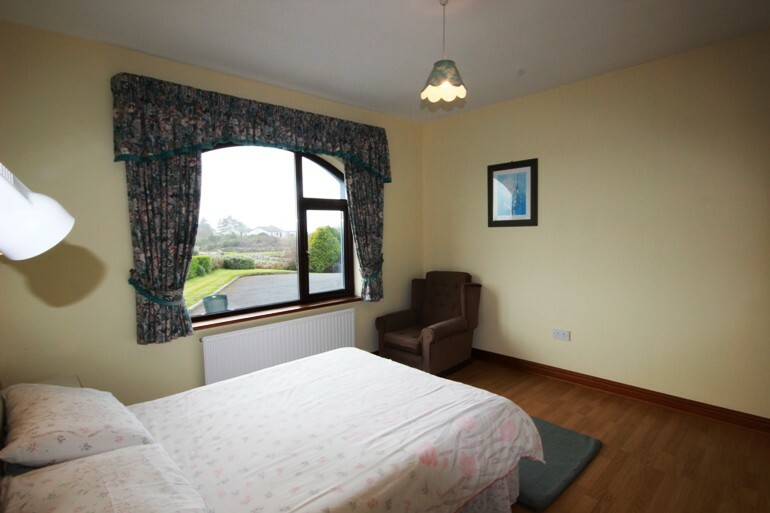 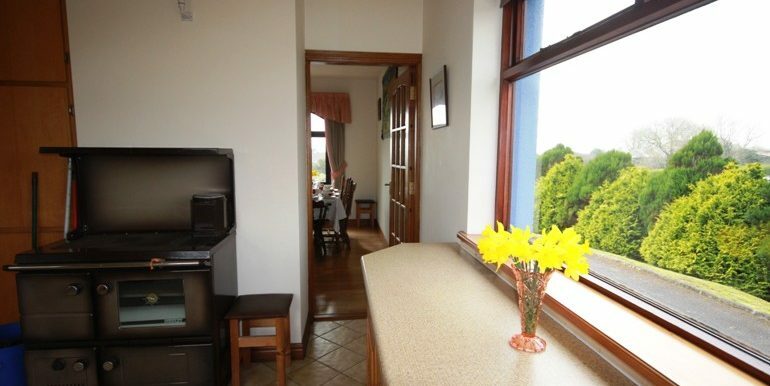 Pooreen House is a detached house on a elevated site with breath taking views of the Atlantic Ocean, the Aran Islands and Co Clare. 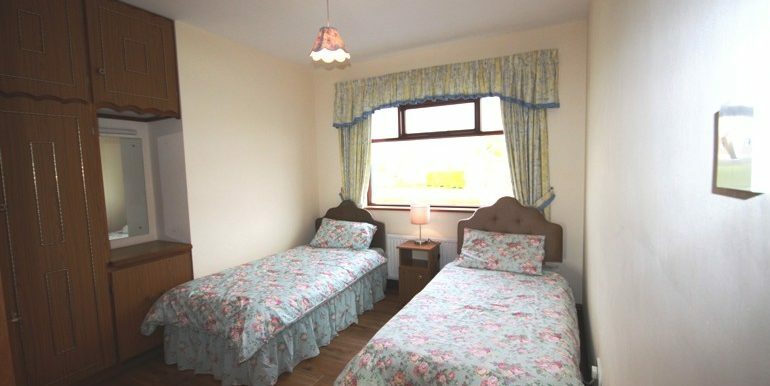 A large tarmac drive is surrounded by well maintained gardens, where garden furniture is available, perfect for dining al-fresco. 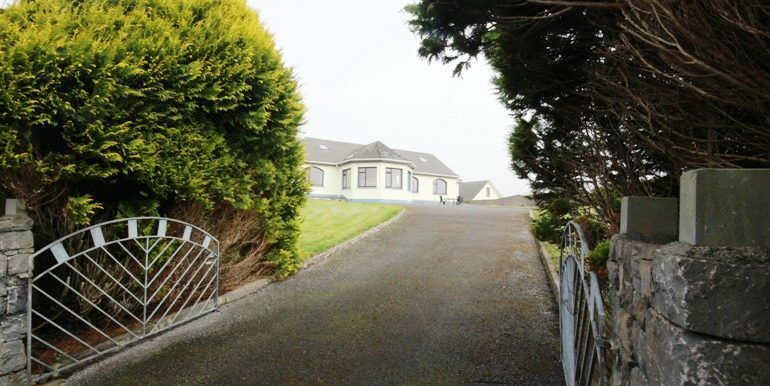 The grounds are fully enclosed, gated and very private – perfect for letting the children play safely outside. 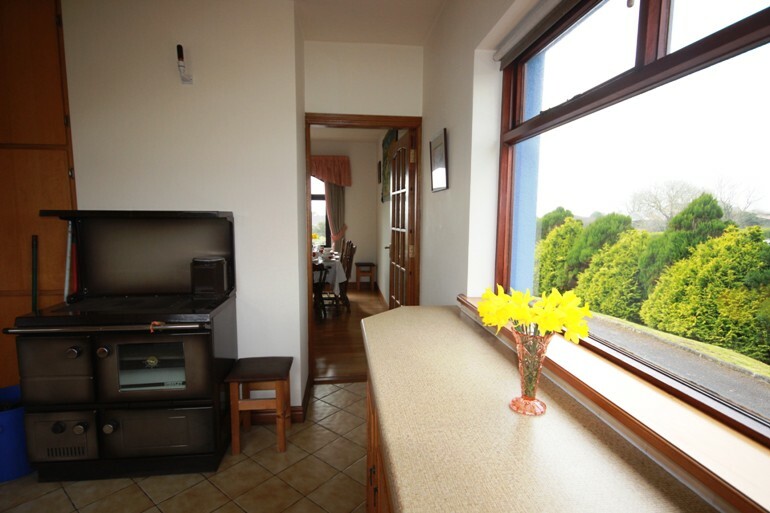 Only a 5 minute drive to local supermarket and sandy beach. 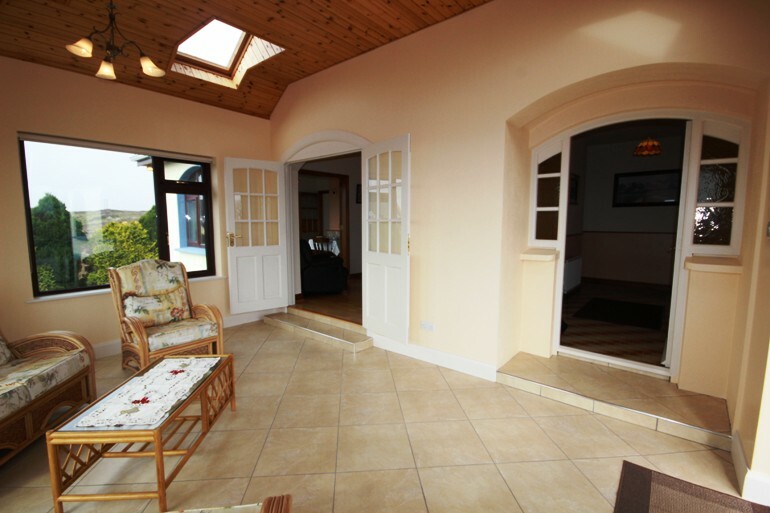 3 steps lead you into a lovely bright conservatory with high ceilings, Velux windows and gorgeous sea views which you can enjoy from the comfortable wicker furniture. 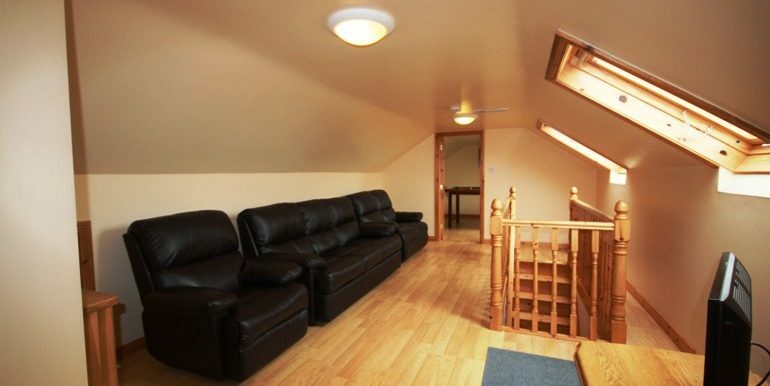 Taking the stairs, you will find a large landing which has been converted into a second sitting room, perfect for teenagers, with large recliner chairs and a flat screen TV, off the living room area is a pool room which the kids will love! 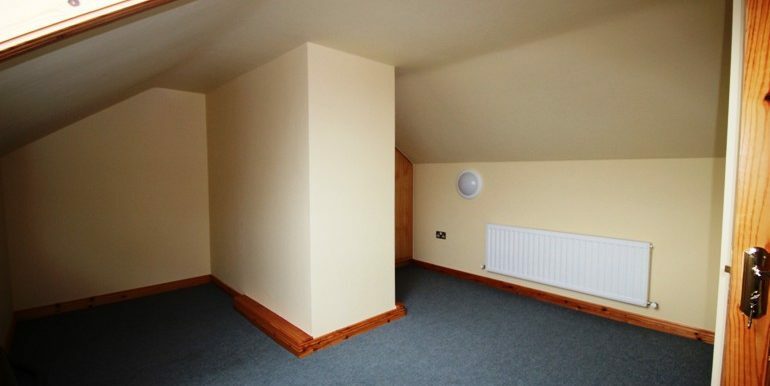 To the left of the living room area you have a bathroom with electric shower and Velux windows. 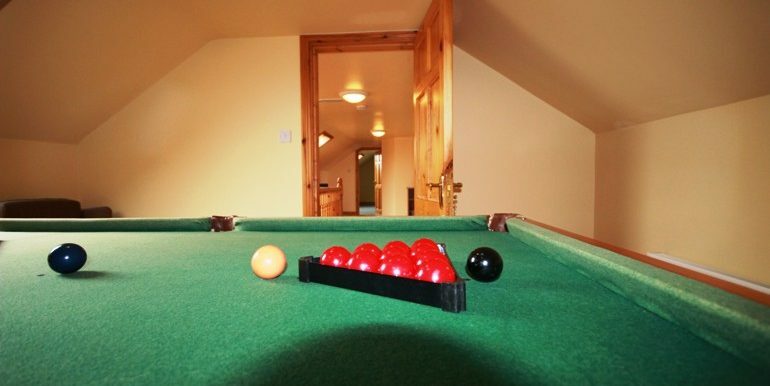 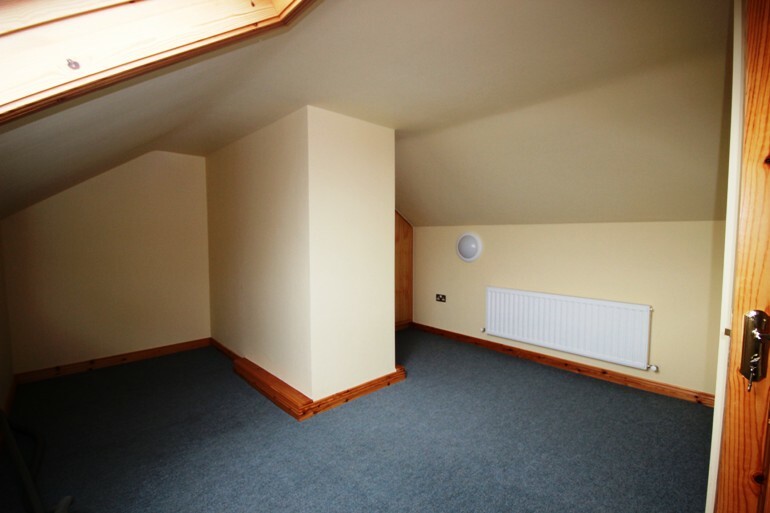 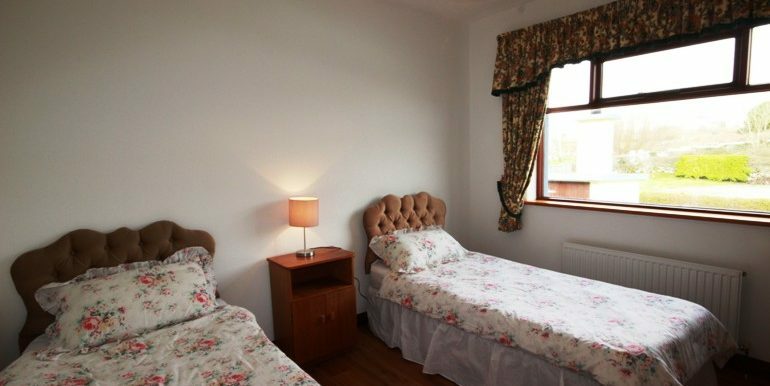 Beside the bathroom is a large carpeted room, perfect play area for kids on a rainy day! 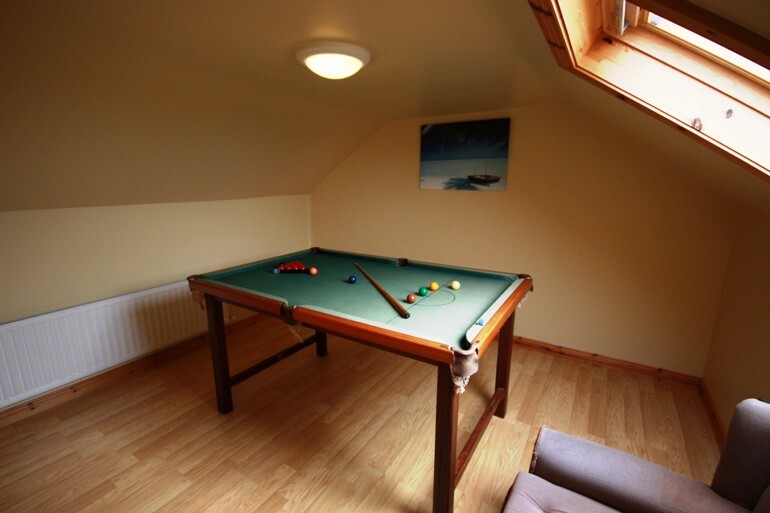 Strictly no smoking and 7 guests is the maximum amount per stay. 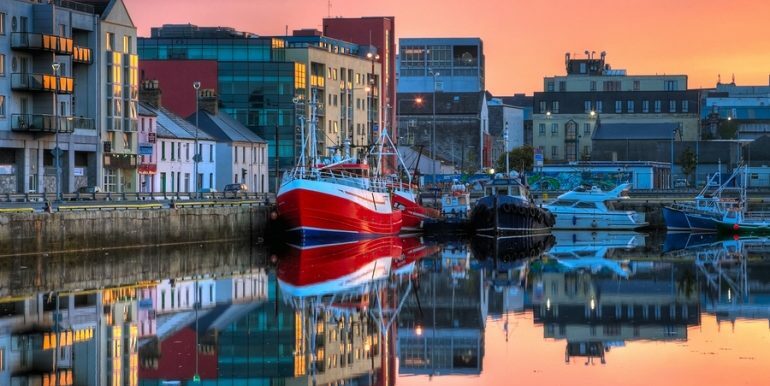 Galway is a harbour city in the West of Ireland and is a very popular tourist destination for those visiting the country; it is a picturesque and lively city. 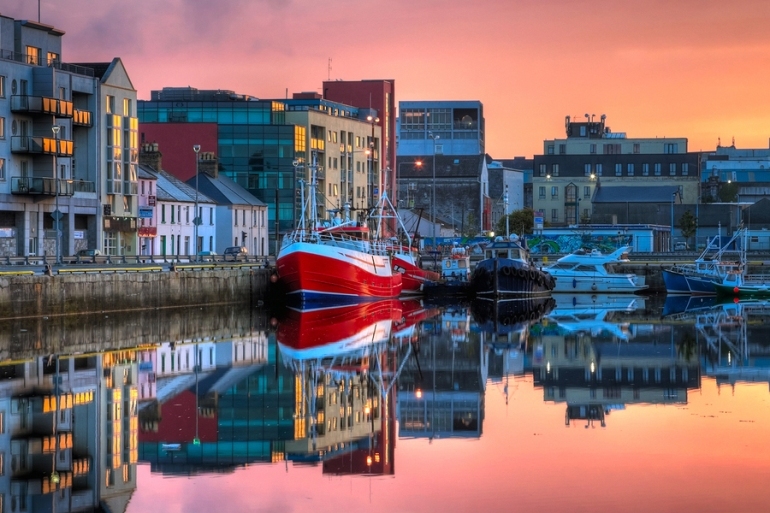 Known as Irelands Cultural Heart, Galway is renowned for its vibrant lifestyle and numerous festivals, celebrations and events throughout the year. 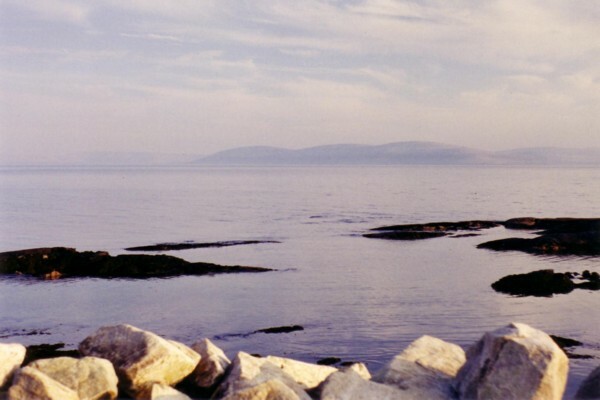 In 2004, there were three dance organisations, ten festival companies, two film organisations, two Irish language organisations, 23 musical organisations, twelve theatre companies, two visual arts groups, and four writers’ groups based in the city. 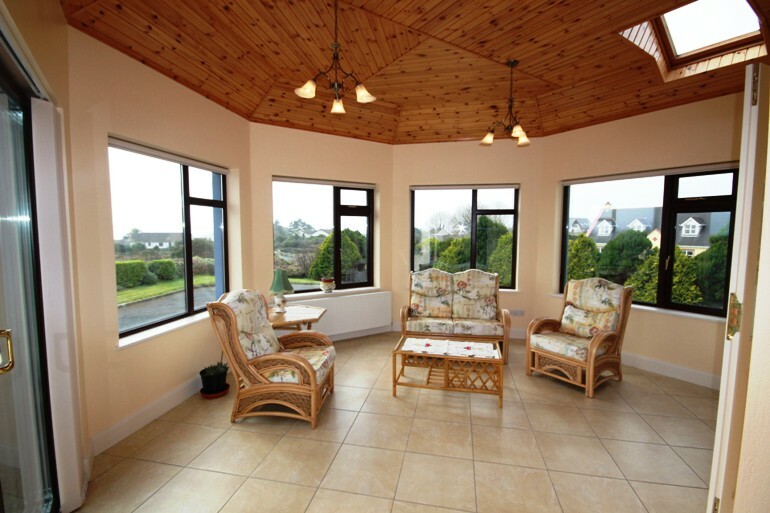 Visit the Galway Atlantaquaria – The kids will love this! 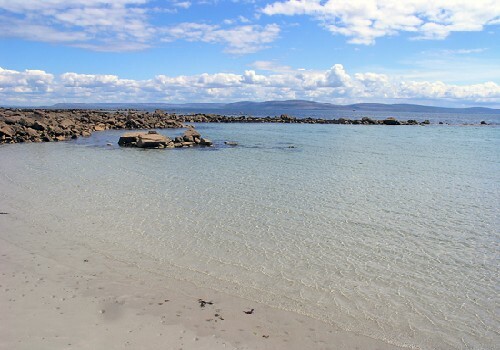 Have an afternoon stroll around the Salthill Prom! 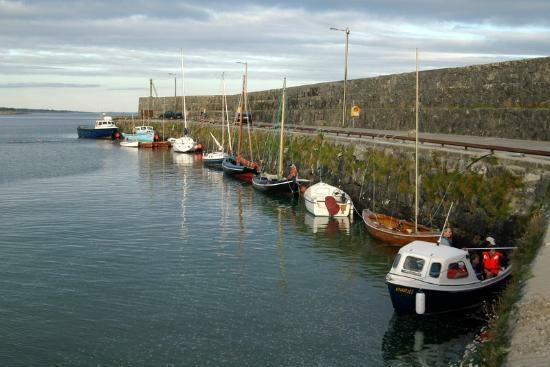 Hire the Coca Cola bikes (placed in various locations around the city) and explore Galway on 2 wheels! 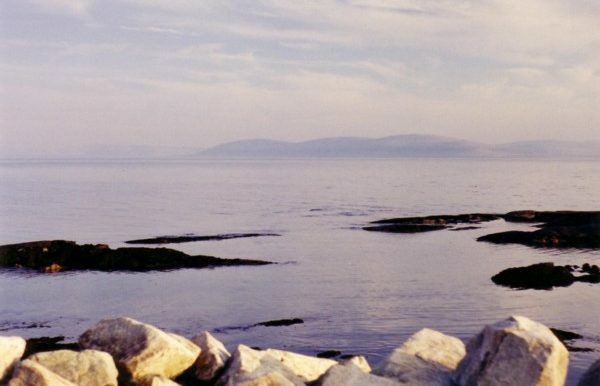 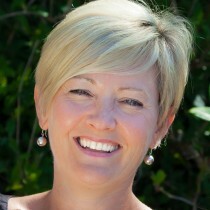 Book a Segway Adventure Tour! 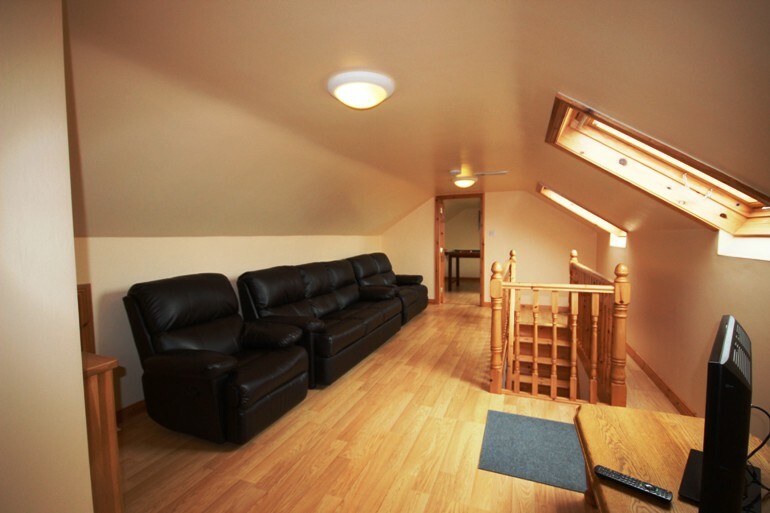 The Electricity and Oil is metered upon arrival and upon departure. 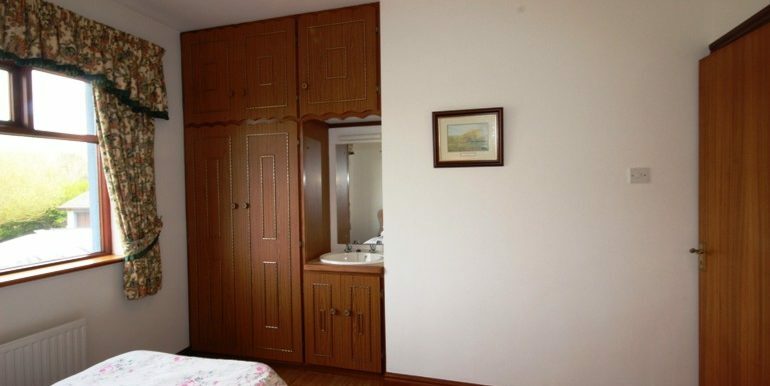 Linen is inclusive in the rental rate. 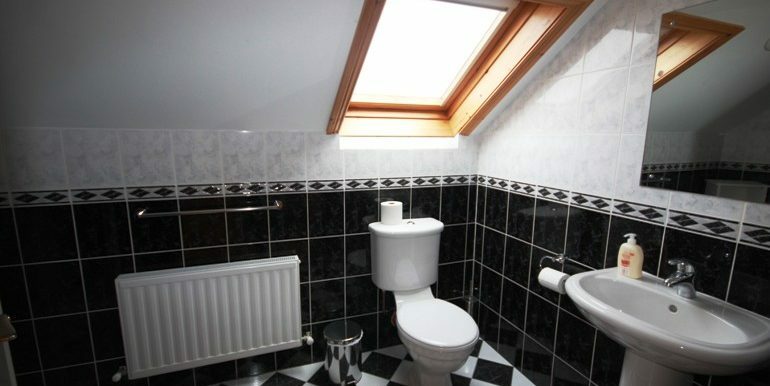 Towels are not supplied.